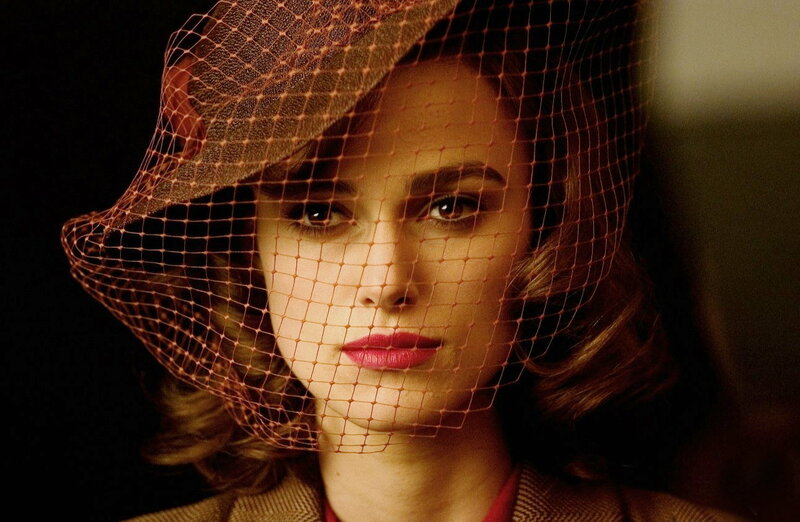 See the gallery for quotes by Keira Knightley. You can to use those 8 images of quotes as a desktop wallpapers. But acting is very much a profession that is you're hot one moment and not the next - and that is totally cool. I think that's what I find most fascinating and most exciting about it - is that it can be gone in a puff of smoke. What's nice about playing somebody real is that generally there's more information about them, so a lot of the questions that you'd otherwise have to make up the answers to are already there. At this particular time, I probably am more comfortable with myself. Just now I'm having a lovely time. I find it quite difficult on studio films because there are so many different executives and things like that that you have to go through, so very often getting that definitive opinion is actually quite difficult. And we're fortunate if we have parents who are great and loving and inspiring. But, unfortunately, there are people who don't have that. I always find it much easier when there's one person whose vision you're following, as opposed to many people. I am a slow reader. I always loved words, which is a strange thing given that I couldn't actually read them. Much more quotes by Keira Knightley below the page. I really believe that in this industry women have to be very true to themselves about what they're comfortable with. I see the world through my eyes. It's sometimes a strange world. I think everybody has the right to a private life. If only I wasn't an atheist, I could get away with anything. Nice is the worst word.